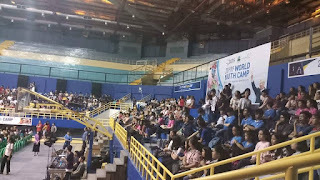 Home / Unlabelled / IYF WORLD YOUTH CAMP 2019 IN GENERAL SANTOS CITY! 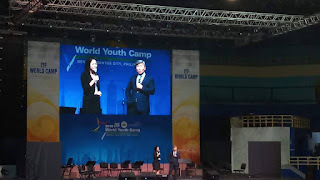 IYF World Youth Camp 2019 is continuously beginning! 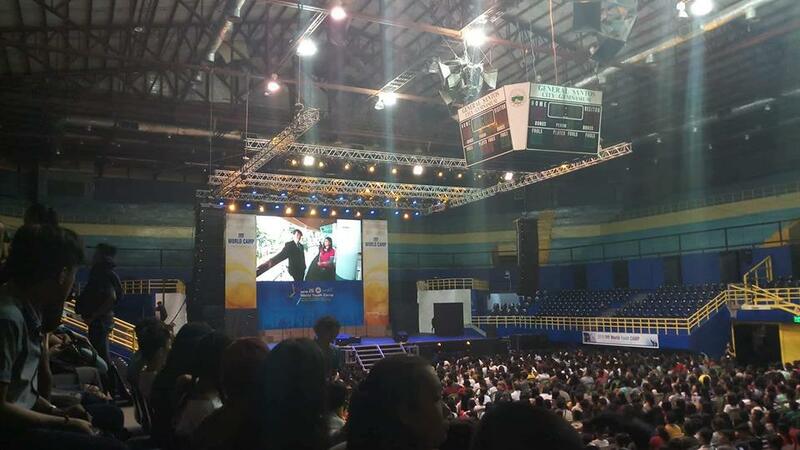 It started off with singing the Philippine National Anthem, then with a colorful dance intermission number. 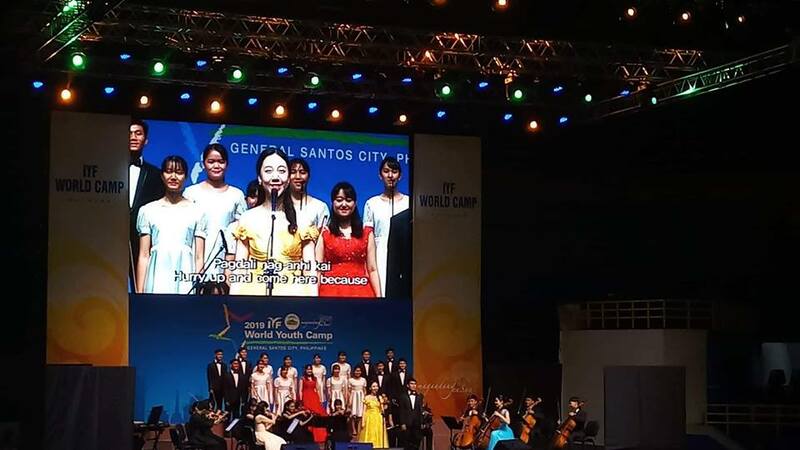 The crowed was fired up by the duet singers of the OST in DOTS (Descendants of the Sun) and Golbin. Another dance number from Korea with the Theme of Moana, dancing joyfully and energetically to show off their culture. IYF World Youth Camp is an activity made by the International Youth Fellowship to help empower the youth themselves in order to become great individuals by making it known to extend help to many countries as possible. It is based in over 90 countries all over the world and its main goal is to decrease the number of youth struggling through different Youth problems that is present today. 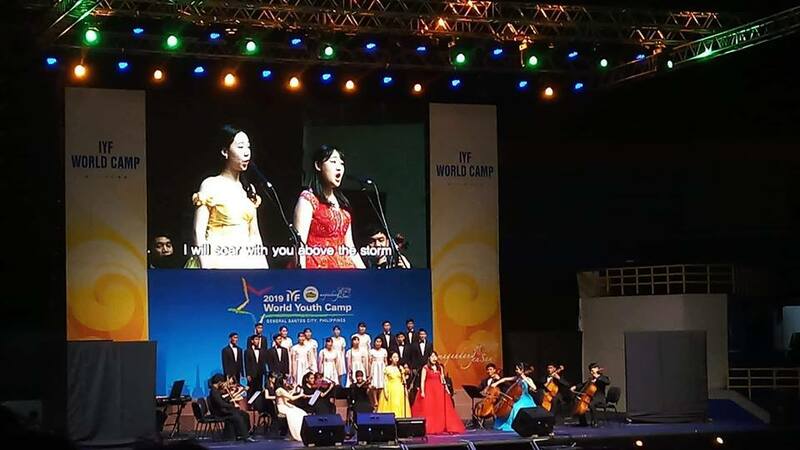 There were also instrumentalists who poured their hearts using their own like the group with the flutes and the woman with her violin. 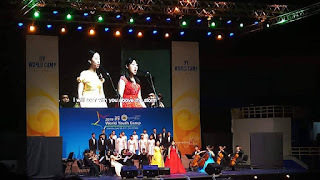 An orchestra played the song Nella Fantasia from the Movie "Mission" with the choir gracefully singing. The duaet of the woman and the man with the choir who sang "Balay ni Mayang". Lastly, the two women along with the choir sang "Still". 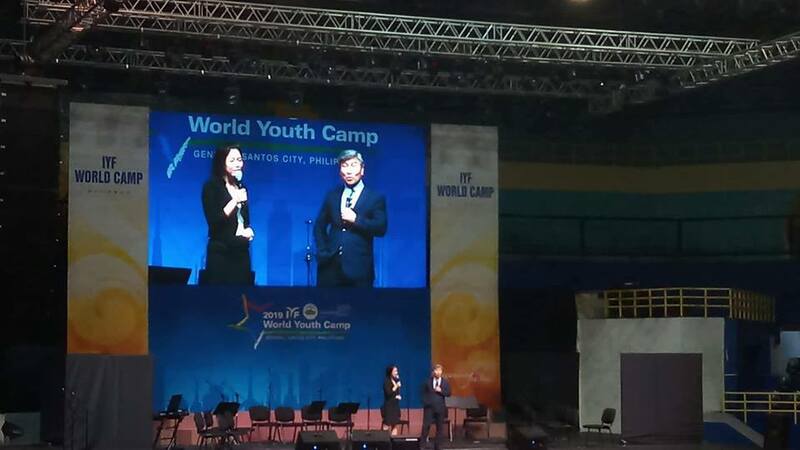 IYF Korean President wanted to relay the message about Happiness as the main source of human being to keep moving forward. He discussed that beauty, popularity, health, money and other wordly things is not that important, what matters the most is to have the purest and kindest heart. A man will not foster if an individual has a poor mindset. One should not live with only himself but also for others. Excellence should also come with integrity, humility and perseverance for a more prosperous future to come.